Hecker Guthrie has won the 2018 Rigg Design Prize with an interior that strips the table bare and aesthetics become secondary. 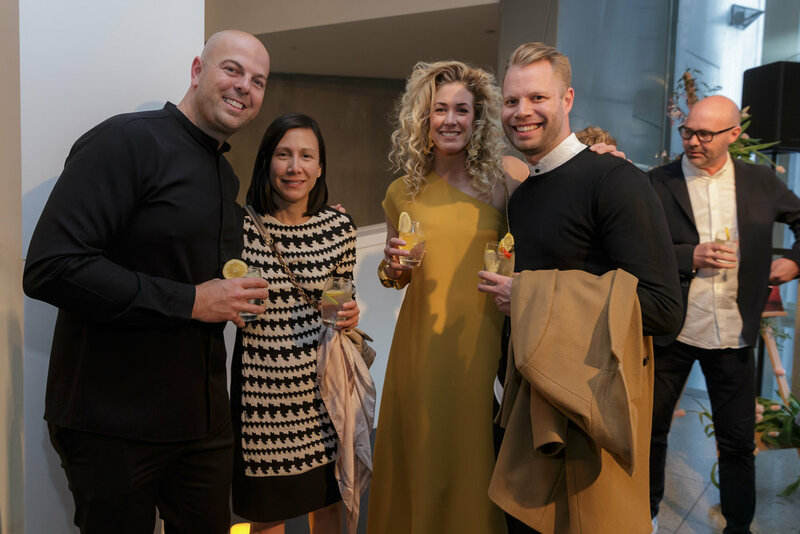 For Australian designers, the NGV’s Rigg Design Prize is a much coveted accolade for outstanding creative practice in contemporary design. 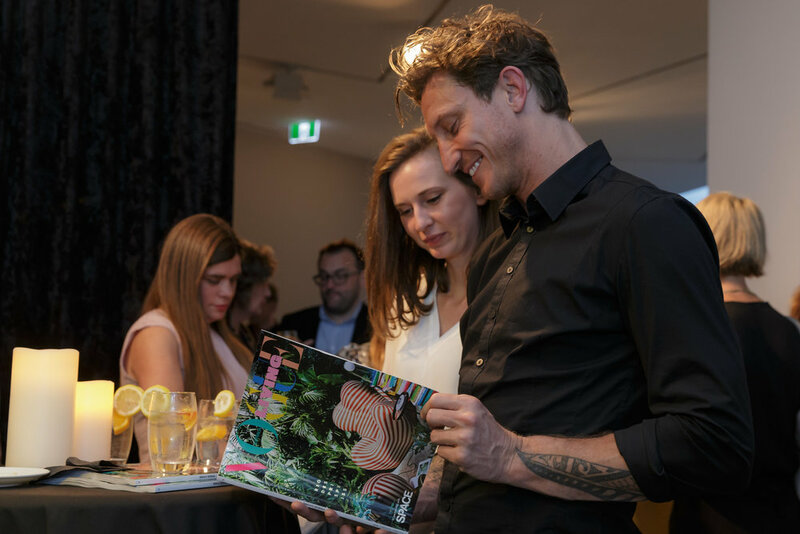 This year’s prize drew together ten of Australia’s best interior designers and decorators asking each to delve behind the cultural, historical, material and technological aspects of society. 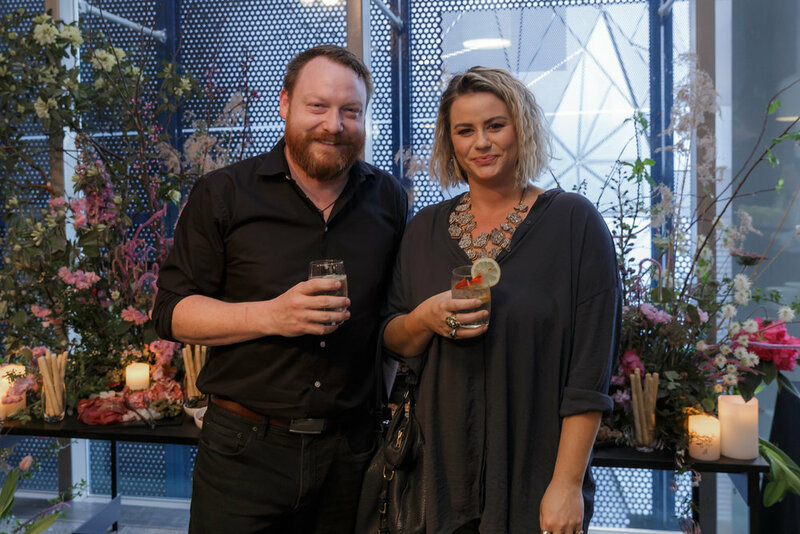 First established as the Cicely & Colin Rigg Contemporary Design Award, the invitational award launched in 1994 to support contemporary craft and design practice in Victoria. 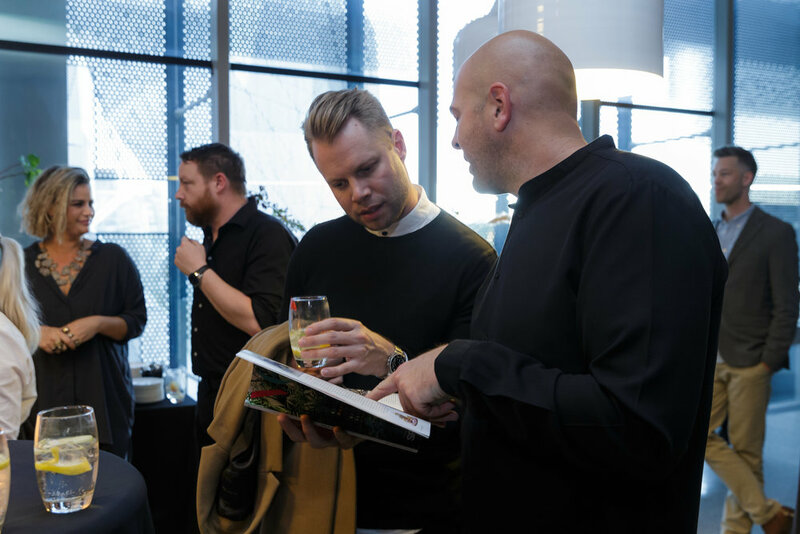 In 2015 the award took on a regional focus with the first national award going to Sydney-based furniture designer Adam Goodrum. 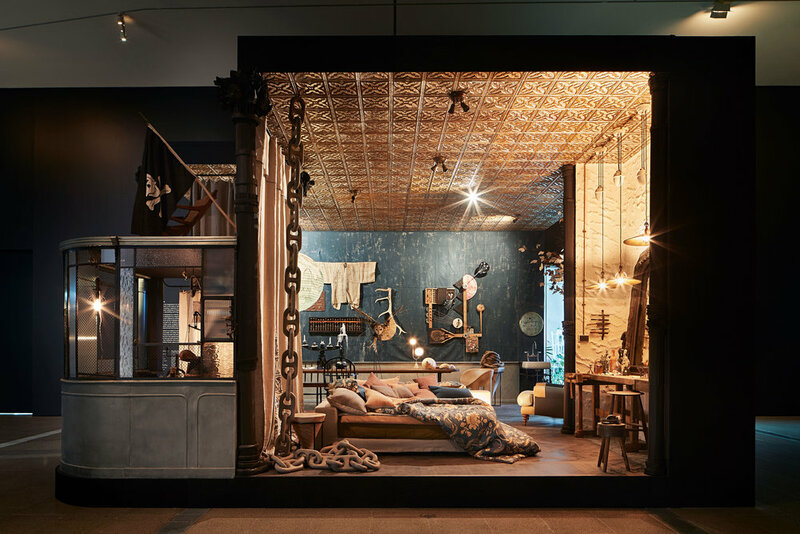 This year is the NGV's first look at Australian interior designers nationally. Each studio was asked to explore the theme of 'domestic living’ and judges looked for interiors capable of communicating how a designer creates an interior "embedded with values, ideas and stories that directly engage with the cultural, historical, material and technological aspects of society”. Across all ten practices shortlisted – Amber Road, Arent & Pyke, Danielle Brustman, David Hicks, Flack Studio, Martyn Thompson Studio, Richards Stanisich, Hecker Guthrie, Scott Weston Architecture Design and The Society Inc by Sibella Court – and the winning studio Hecker Guthrie – we hear from each designer about the ideas and design process behind their interiors for the 2018 Rigg Design Prize. 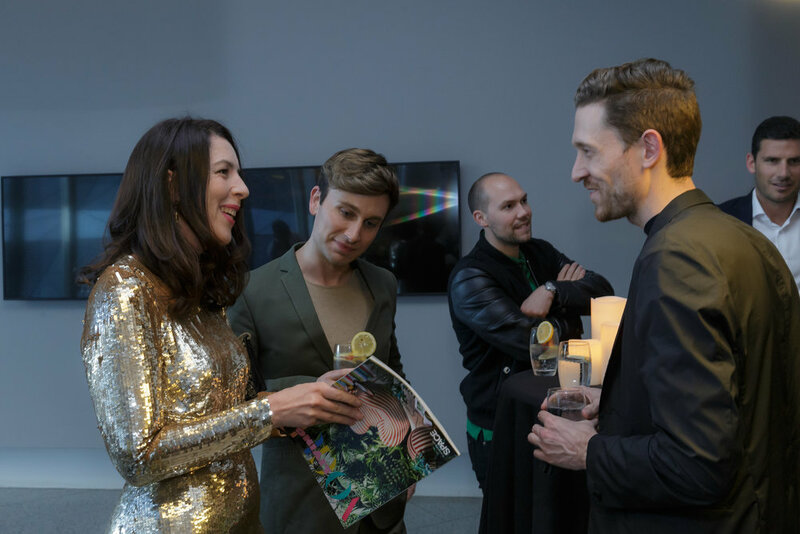 Winners of this year’s Rigg Design Prize and a leading design practice from Melbourne, directors Paul Hecker and Hamish Guthrie created a domestic landscape that centres on the table as surface, support, and enclosure. Here the table becomes a ‘subtle muse’ that ‘inspires bustle, encourages stillness and is a place of reflection and assembly, a domestic totem summoning familiarity. 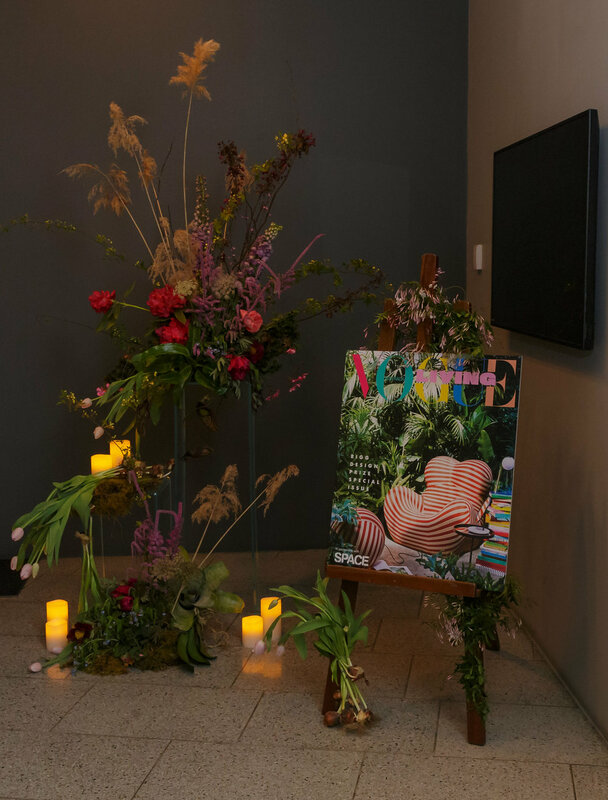 The intent of the installation aimed to conjure an emotional, and possibly nostalgic, connection to the table as an object. The controlled, minimal palette allows the many interpretations of the table’s form to become visible. Here the table is stripped back to its most basic so that aesthetics become secondary. Working with natural materials, lighting and key works of art, Aren’t & Pyke’s interior for the Rigg centres on themes around feasting, bathing and resting. Photography © Shannon McGrath. 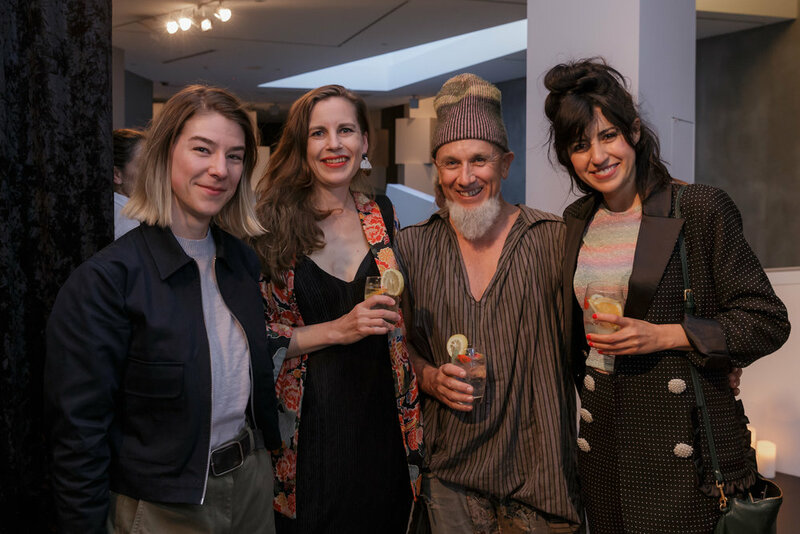 Juliette Arent and Sarah-Jane Pyke started collaborating 11-years ago. 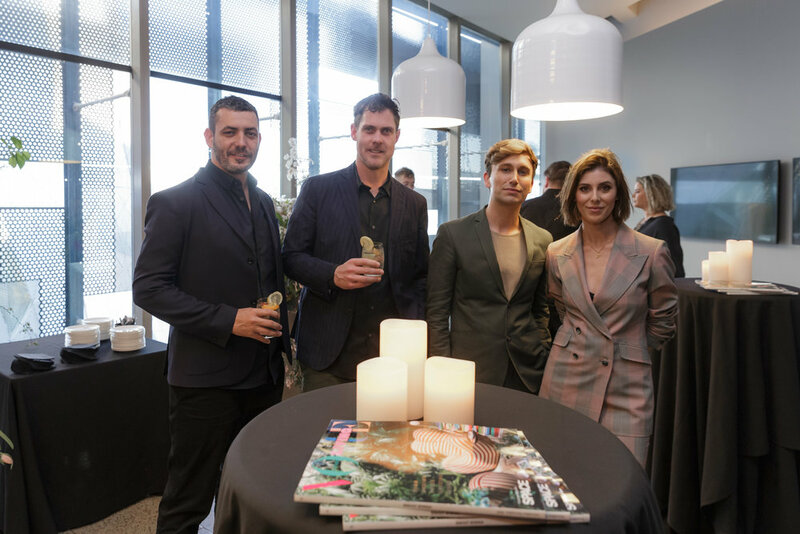 The Sydney-based practice has a distinctive style underpinned by the belief that clients should connect emotionally with the spaces they live in. Working with natural materials, lighting and key works of art, their interior for the Rigg centres on themes around feasting, bathing and resting. 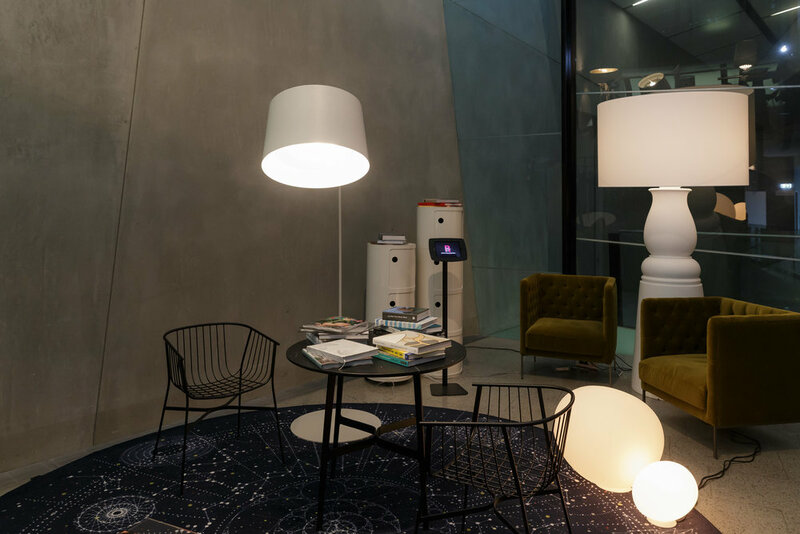 Each area features a contemporary Australian artwork and a bespoke furniture piece that responds to the archetypal imagery of the space it inhabits. Reminding the viewer that a home is a place where we should find “comfort in familiarity, and inspiration and delight in beauty”. 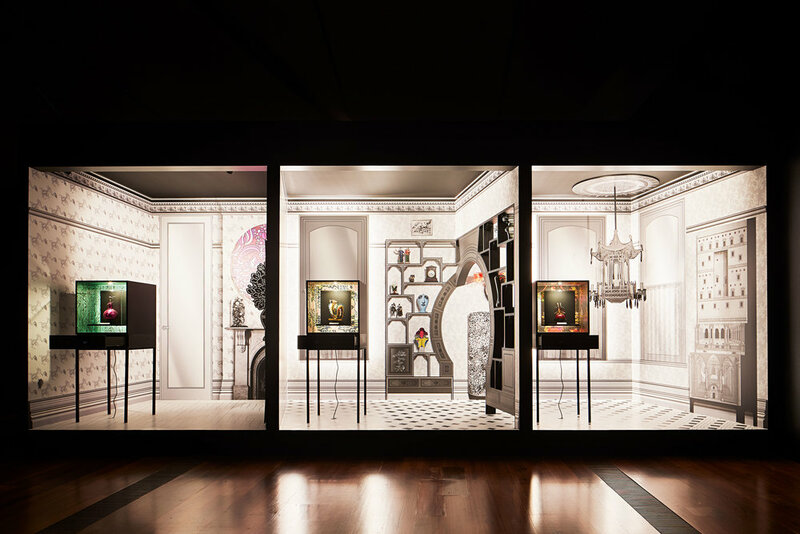 Siberia Court celebrates the Cabinets of Curiosity, the original domestic museum that invited show and tell, touch and feel. Sibella Court has developed a distinctive style that is rich with what she describes as a ‘bohemian flair’. 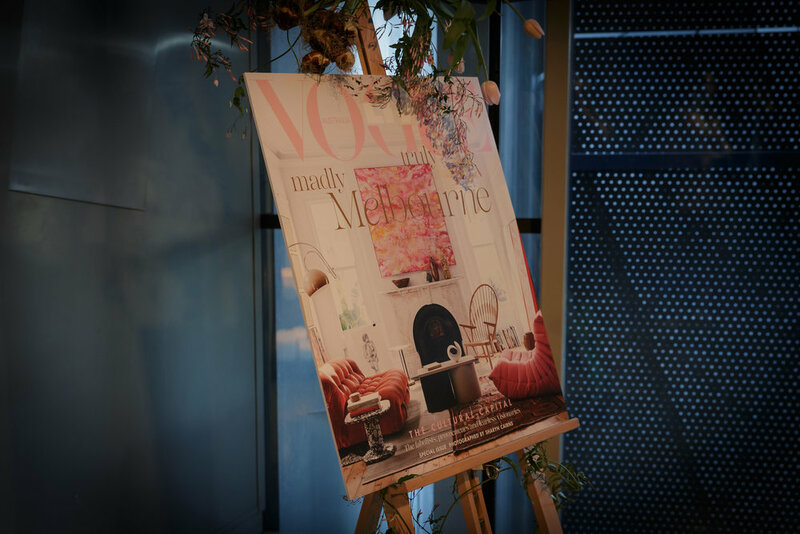 Starting her career as a stylist in editorial and advertising, she went on to establish The Society inc, working on interiors featuring treasures and curiosities she sources from around the world. For the Rigg, Court celebrates the Cabinets of Curiosity, the original domestic museum that invited show and tell, touch and feel. The room is inhabited by a family whose library of life’s souvenirs is displayed on a large feature wall. The various spaces offer glimpses of their life and activities: from a whimsical crow’s nest from a ship, a playful dress-up cupboard, and a pot-belly stove, to a custom dining table that doubles as a research station. 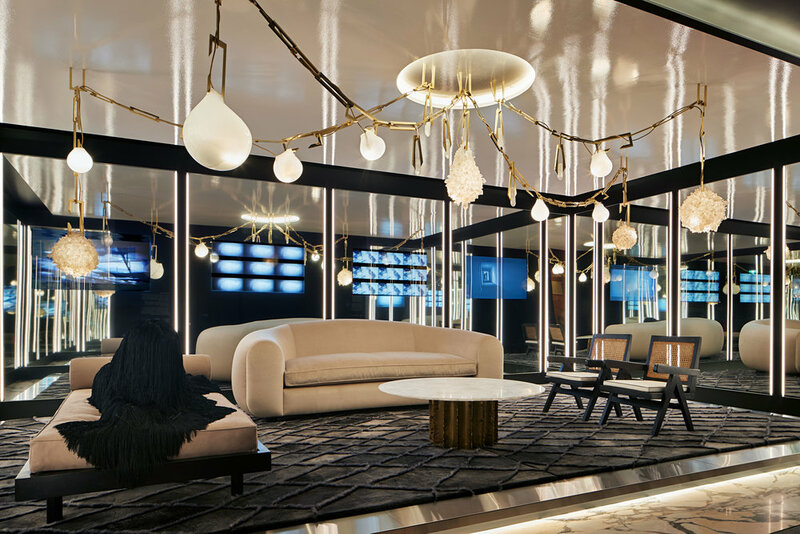 Responding to the Rigg Prize brief, the interior created by Flack Studio is a luxurious living space reflective of current Australian culture and social values. 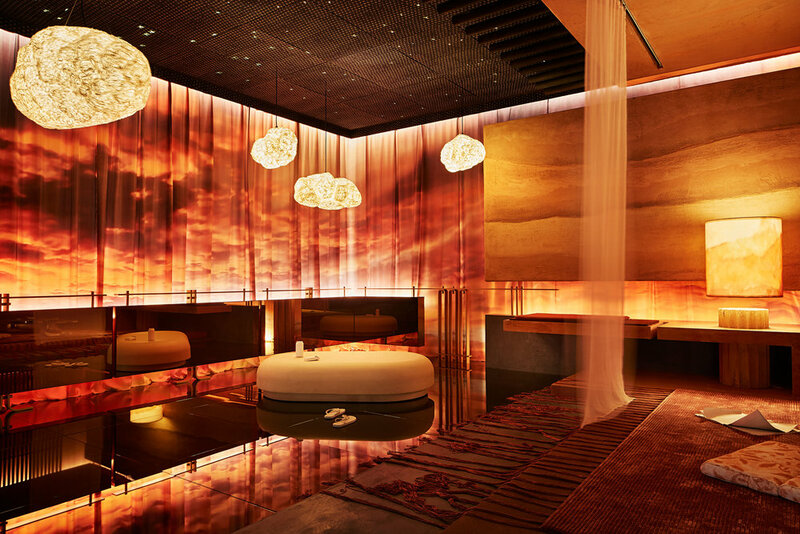 Flack Studio is an interior architecture and design practice based in Melbourne. Working on residential, hospitality and commercial interiors the studio is inspired by the traditions of design and hold craftsmanship in high regard. 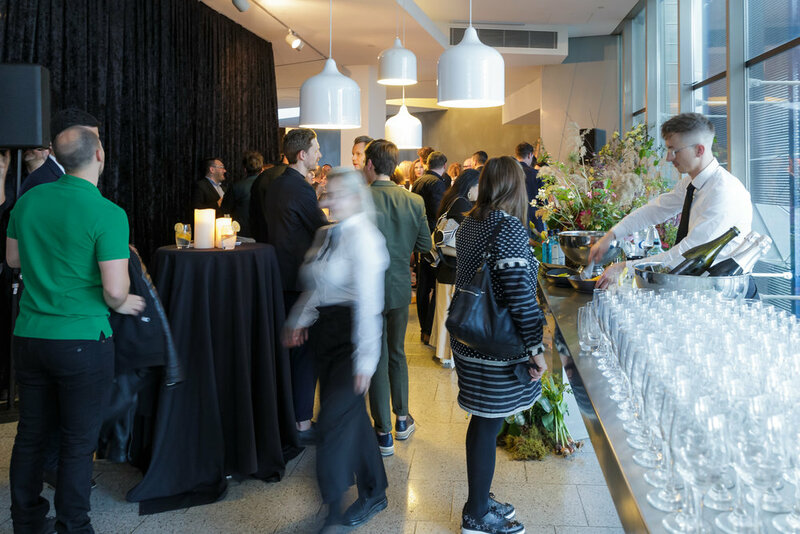 Responding to the Rigg Prize brief, the interior is created as a luxurious living space reflective of Australian cultural and social values. 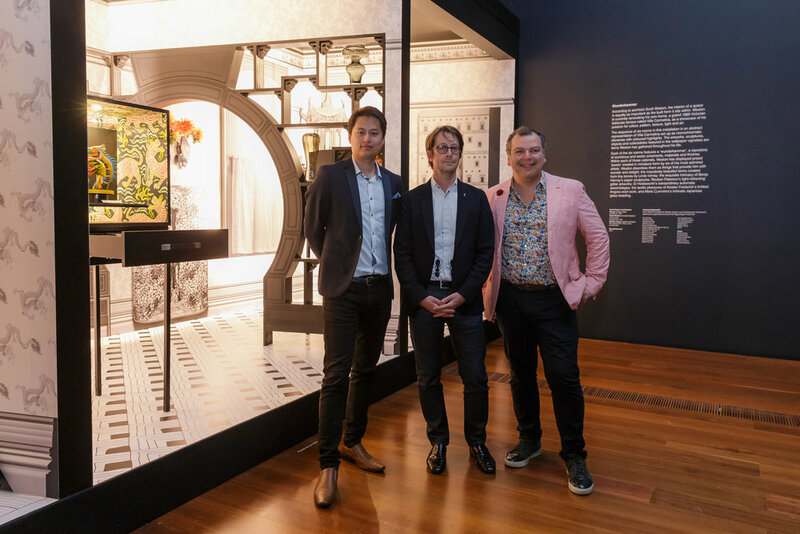 Items were commissioned by the studio and each room is saturated in a gold hue, the intensity drawing attention and pointing out that while many Australians are living in a ‘golden age’ with enough wealth to create custom architecture, parts of the world are also in crisis. The interior acknowledges Australia’s Indigenous history, celebrating the diverse cultures drawn together by migration to make Australia what it is today. Scott Weston’s interior for the Rigg Design Prize is a six-room abstract diorama of the Villa Carmelina, his own home currently under construction in Sydney. Weston’s interior for the Rigg Design Prize is a six-room abstract diorama of the Villa Carmelina, his own home currently under construction. Titled ‘wunderkammer’ the interior is a repository of wondrous and exotic ornaments, materials and finishes, Prized ‘jewels’ are created in miniature form by six of his most admired artists, including the tiny bones woven into sculptures by Linde Ivimey and the intricacy of Benja Harney’s paper sculptures. 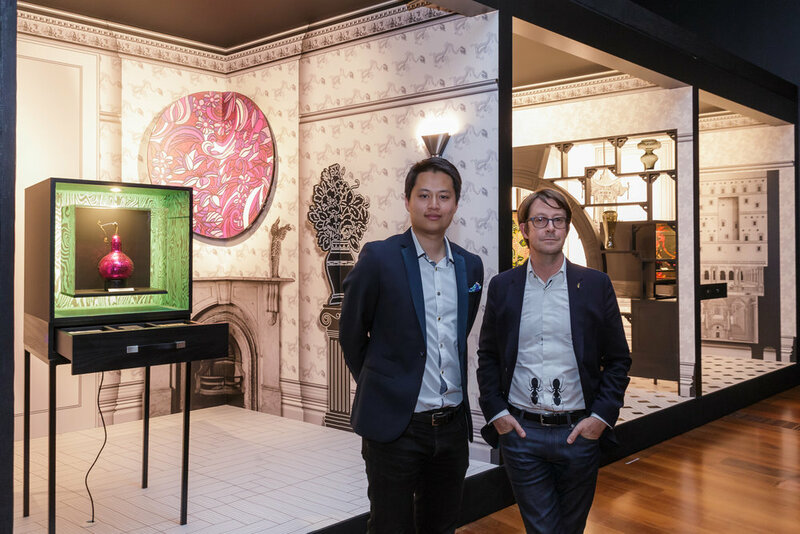 The artworks, sculptures, objects and collectables featured in the digitally-printed wallpaper vignettes are items Weston has gathered throughout his life. ‘Take it outside’ by Amber Road references the multiple cultural heritages of Yasmine and Katy and sets out to encapsulate ‘Australianness’. Katy Svalbe (landscape architect) and Yasmine Ghoniem (interior designer) are the duo behind Amber Road. Their studio blurs the boundaries between the two disciplines and they often collaborate with artisans and craftspeople to humanise the built environment. 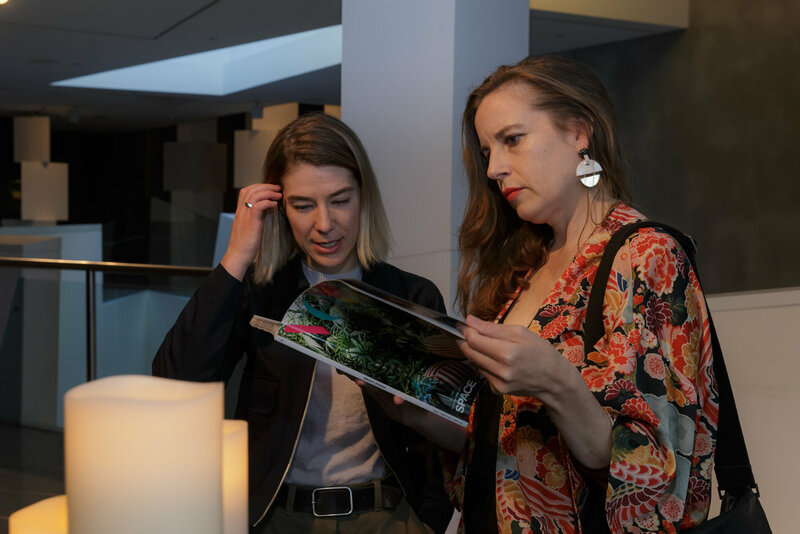 ‘Take it outside’ references the multiple cultural heritages of Yasmine and Katy and sets out to visually and symbolically encapsulate ‘Australianness’. Their interior for the Rigg explores and celebrates the interconnectedness of inside and outside spaces, in particular the porch and the veranda. Danielle Brustman’s ‘Inner-Terior’ draws from theatrical references and inserts them within a contemporary living room. Photography © Shannon McGrath. Danielle began her design career working as a set designer for theatre and performance, collaborating with theatre makers, companies and artists. Drawing from this experience, her design practice incorporates art and performance as well as a strong use of colour and materials. Brustman's interior for the Rigg is a place to play out your own ‘fantastical reality’. Inspired by 1980s cult classic film Xanadu, Art Deco bandshells of the 1920s and roller skating rinks of the 1980s, ‘Inner-Terior’ draws from theatrical references and inserts them within a contemporary living room. The thread running through these seemingly disparate references is the designer’s own psychological ‘inner terior’, where the aesthetics of performance and stage provide a rich and idiosyncratic source of inspiration. With ‘Panic Room’, designer David Hicks wants us to think about how the media overload creates a personal ‘reality feed’ that sculpts individuals into who they are and how they live. Photography © Shannon McGrath. 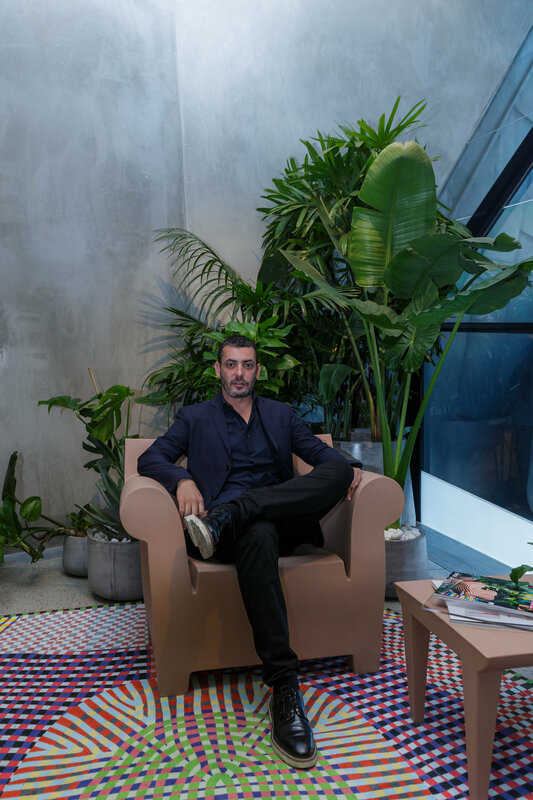 Celebrated for his distinctly bold interiors, David Hicks' work has become inextricably linked with modern Australian luxury. With ‘Panic room’, Hicks explores how our constant exposure to media, both traditional and social, and the dominance of information culture has changed the world. Hicks wants us to think about how the media overload running alongside events in our lives, creates a personal ‘reality feed’ that sculpts individuals into who they are and how they live. He speculates that the evolution of technology, media and advertising have modified our reality of a ‘perfect life’. Martyn Thompson explores the notion of the atelier for the Rigg Prize and the line between work and home where life can be blurred. Photographer Martyn Thompson began his career making clothes before working as a fashion photographer in Sydney and Paris, and then broadening his focus to the world of interiors and still life. Many of the pieces in Thompson’s Rigg interior were created by Thompson himself – rugs, ceramics, textiles, art and ottomans – and are shown alongside collaborative pieces. Thompson’s philosophy sees flexibility embedded in design so interiors can adapt to shifts in function or mood. His installation explores how the idea of the traditional atelier, which blurs the boundary between work and home, takes on new relevance today and becomes an arena for complete creative expression. Richards Stanisich’s interior for the Rigg looks at the human essentials of shelter, sanctuary, hygiene and intimacy, reducing the core elements down to their purist state in response to the digital age we live in. Photography © Shannon McGrath. Jonathan Richards and Kirsten Stanisich’s work traverses retail, residential, hospitality and commercial projects. They believe spaces should make you feel something and aim for intention and integrity, without compromising craft or beauty. Richards Stanisich’s interior for the Rigg Prize looks at the human essentials of shelter, sanctuary, hygiene and intimacy that remain largely unchanged for thousands of years. However as technology is altering how we respond, the contrast between these two realms represents the convergence of and tension between two fundamental aspects of our domestic lives. They explore whether the digital age, fuelled by a human desire for complexity and innovation, is in turn leading us to a more natural simplicity in our domestic spaces. 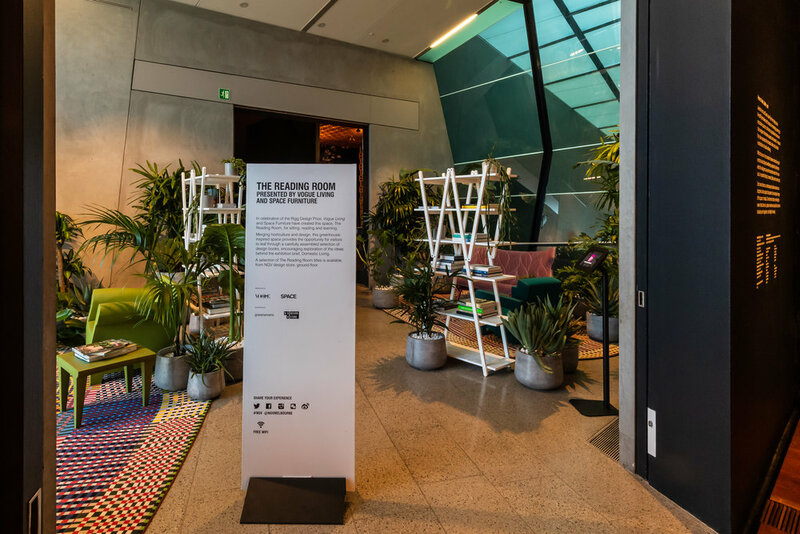 The Rigg Design exhibition is currently on show at the Ian Potter Centre, Federation Square, Melbourne, and runs until 24 February 2019. 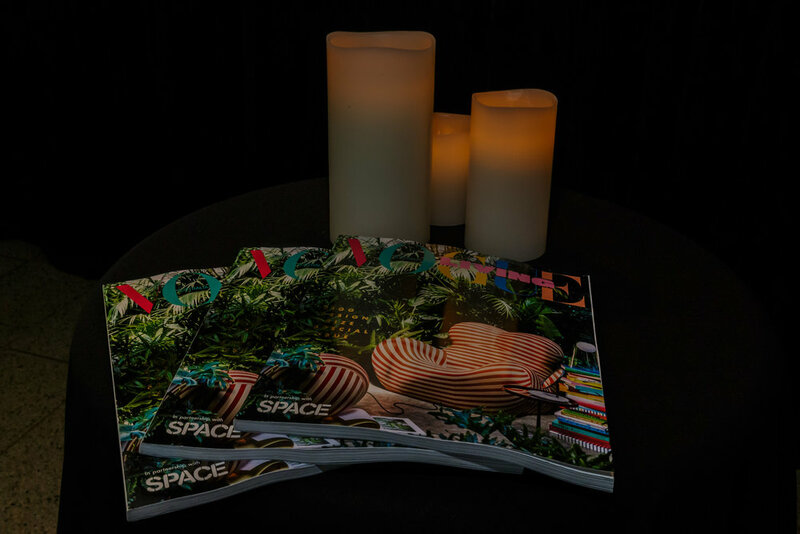 To celebrate the award, Space partnered with Vogue Living for the Rigg Design Prize Special Issue, created a dedicated reading room for visitors to the exhibition, and toasted the achievements of all ten design practices at a private event at the NGV.